The LMC contains several of these superbubbles. One such region, located around the star cluster NGC 1929, is the nebula LHA 120-N 44 or N 44 for short, of some 1,200 light-years across. Like N44, DEM L50 gives off about 20 times more X-rays than expected from standard models for the evolution of superbubbles. A Chandra study published in 2011 showed that there are two extra sources of the bright X-ray emission: supernova shock waves striking the walls of the cavities, and hot material evaporating from the cavity walls. 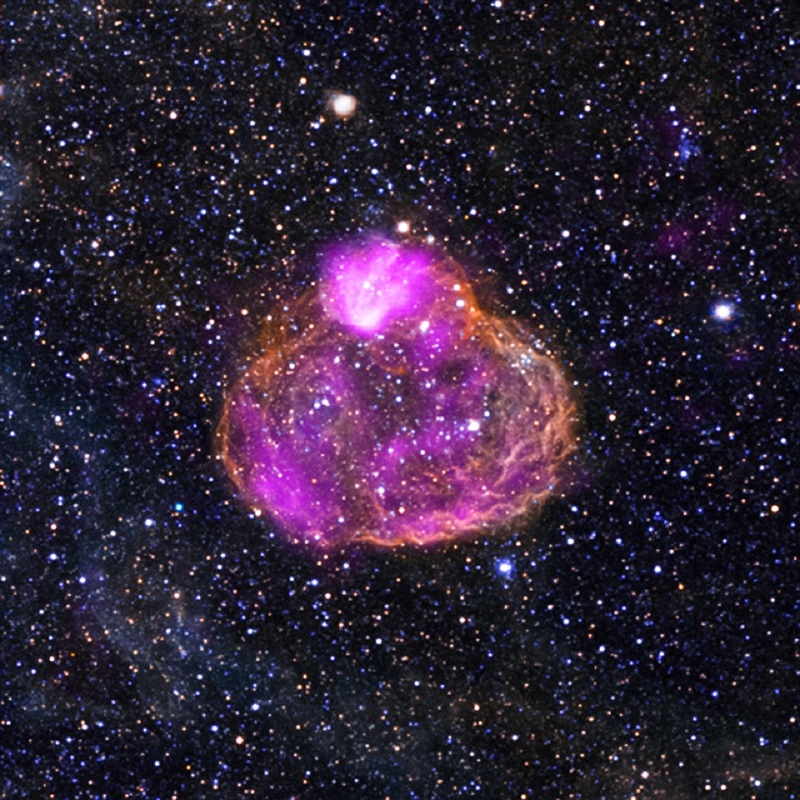 X-rays from NASA’s Chandra X-ray Observatory are shown in pink and optical data from the Magellanic Cloud Emission Line Survey (MCELS) are colored in red, green and blue. The MCELS data were obtained with the University of Michigan’s 0.9-meter Curtis Schmidt telescope at Cerro Tololo Inter-American Observatory (CTIO). No Answer on Your Reaction?